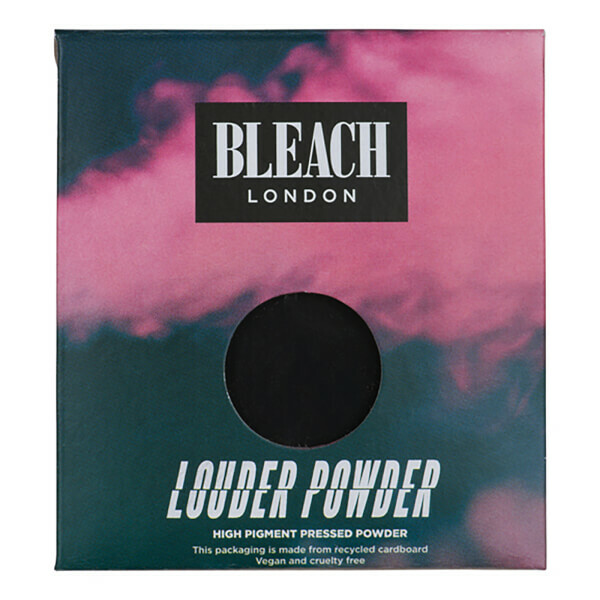 Let your eyes do the talking with the Louder Powder from psychedelic hair and makeup label, BLEACH LONDON. Arriving in a kaleidoscopic spectrum of bold, vibrant hues in varying textures, the pressed powder pans provide endless mix-and-match possibilities with sublime colour-payoff that lasts for round-the-clock, show-stopping lids. Designed to slot into your personally-curated and eco-friendly BYO Palette, the highly pigmented eyeshadow is sure to make your eyes pop and command attention. Talc, Zinc Stearate, Paraffinum Liquidum, Dimethicone, Polyisobutene, May Contain [+/- Mica, Silica, Tin Oxide, CI 16035, CI 19140, CI 42090, CI 77007, CI 77288, CI 77491, CI 77492, CI 77499, CI 77510, CI 77742, CI 77891].